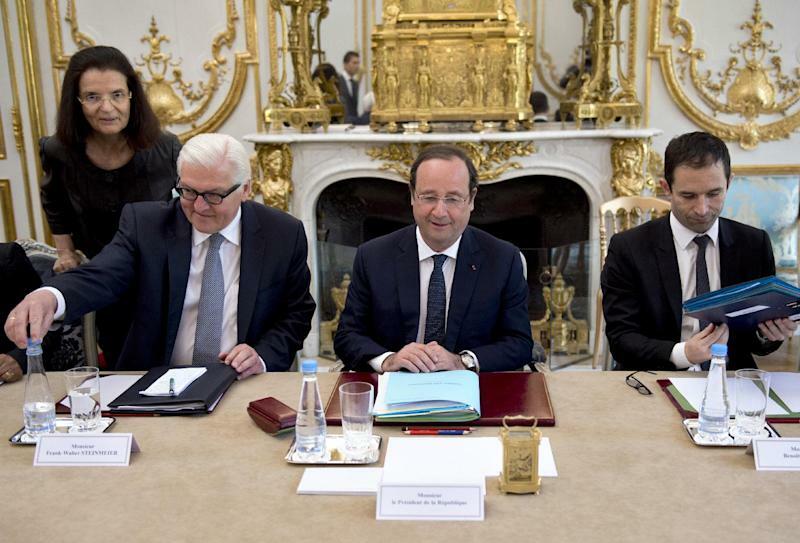 PARIS (AP) — A German foreign minister has sat in on a French Cabinet meeting for the first time — a symbol of European unity as the continent copes with new tensions over Ukraine. This year Europe will be remembering both the 70th anniversary of the Allied D-Day invasion in Nazi-occupied France and the centennial of the start of World War I.
Frank-Walter Steinmeier had a place next to French President Francois Hollande at Wednesday's meeting and spoke of delicate efforts that seem like threading "the eye of the needle" to help Ukraine host May 25 presidential elections amid tensions with neighboring Russia. 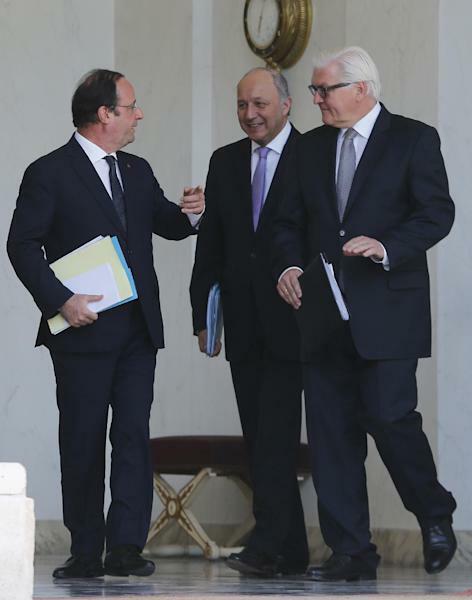 French Foreign Minister Laurent Fabius said he felt "something very moving" about Steinmeier's presence. 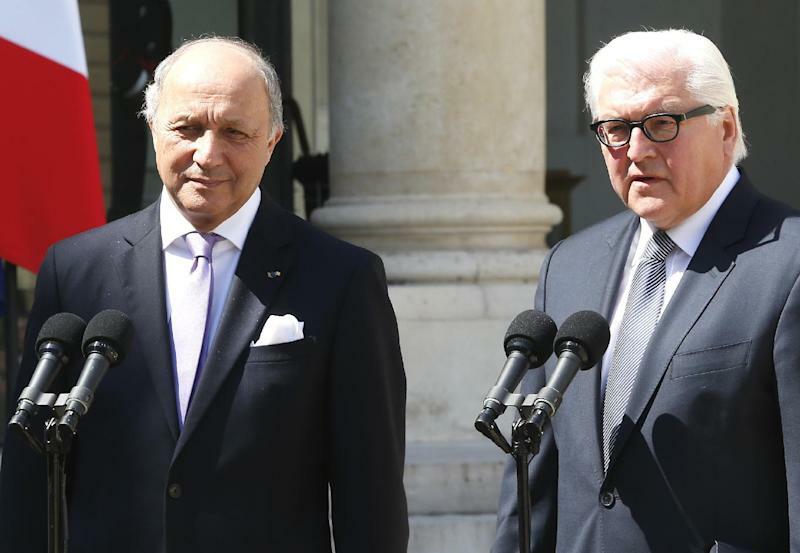 The two have already flown on several joint diplomatic missions together over the Ukraine crisis.